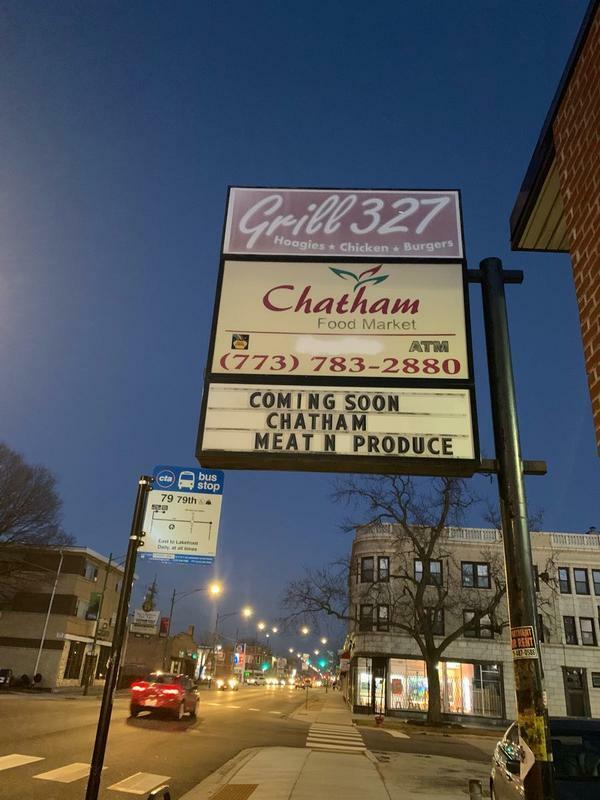 Chatham foods will be closing within a week. EVERYTHING is marked down to 50% off. Fresh meat is brought out daily & I took advantage of the sales. They will be closed for at least 2 months, slated to reopen in June as a MEAT & PRODUCE MARKET!!!! So we're going to get a new iteration of this local grocery store. And I'm a little concerned about the reports of the aroma since we found out about the market's impending closure for renovations. To be fair, I've only been in the store once and was disappointed when this business was sold to non-Black ownership. On the other hand since it seems the trend has favored larger grocery chains I'm glad that this local business will continue in some way. It makes me wonder how an independent grocery store could compete with the Jewel, Mariano's, Walmart, Foor 4 Less or Whole Foods of the world.